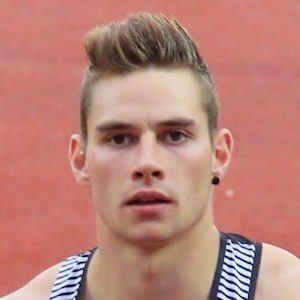 Javelin thrower who won gold at the 2017 IAAF World Championships. He set a career best mark with his throw of 94.44 meters. He came in seventh at the 2015 IAAF World Championships, and fourth at the 2016 Summer Olympics. He has competed with SV Saar 05 Saarbrücken since 2016. He has over 70,000 followers on his johannes_vetter Instagram account. He is coached by Boris Obergföll. He and Fatima Whitbread are both Olympic competitors for javelin throwing.